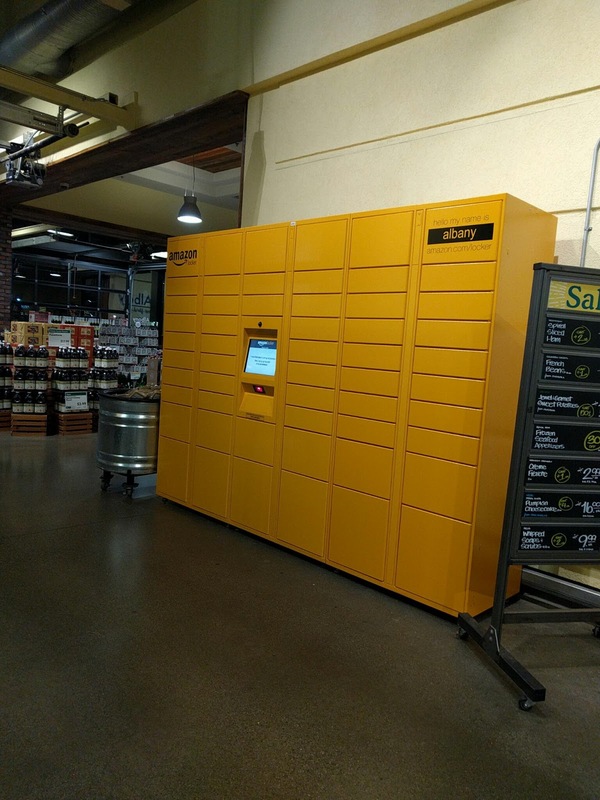 Under The Copper Tree: Amazon Locker has Arrived! I spotted this at Whole Foods tonight. Amazon Locker, if you didn't know, is a self-serve delivery spot that you can use instead of your house. Great if you don't like the idea of your items sitting outside your front door... ripe for the picking. Like the last thing I ordered off of Amazon. I laugh at the fools who took that package. I bet they were pretty disappointed that it was icing and treat bags. Aside from deliveries, you can also place your returns in these lockers. I am use it will be used heavily during the holidays. And post holidays. And maybe in general. Heck... I might even give it a go. It'll give me an excuse to hit up Whole Foods more than I do now.